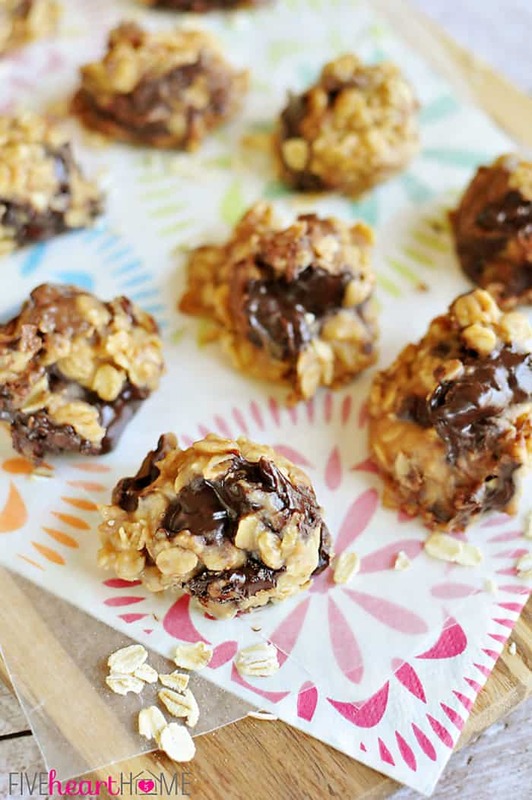 Yummy no-bake cookies — featuring chewy oatmeal, creamy peanut butter, and chunks and swirls of chocolate — come together in mere minutes with no need to turn on the oven! Well, summer is officially in full swing, and across much of the country, temps are nice and boiling. I don’t know about you, but about the last thing I want to do on a hot summer day is turn on my oven and burden my already-taxed air conditioner. 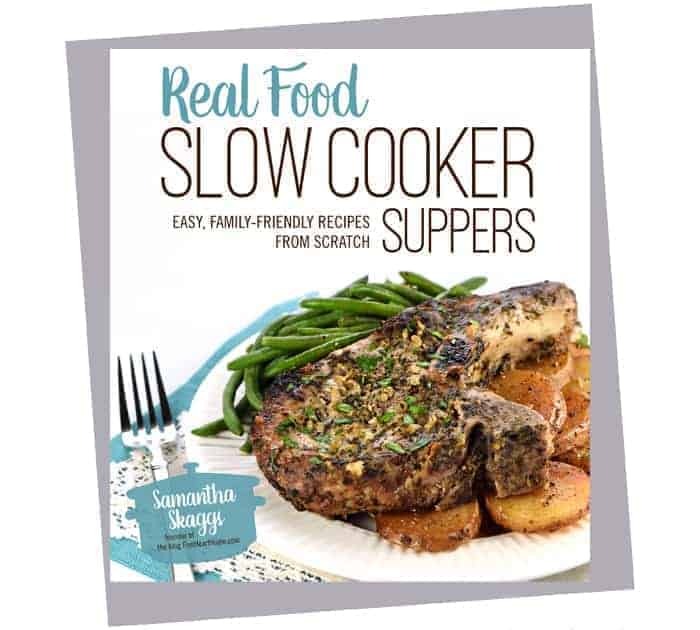 So instead, we do a lot of of outdoor cooking on the grill, make a meal of our favorite salads, and I even continue to use my trusty crock pot through the summer months. 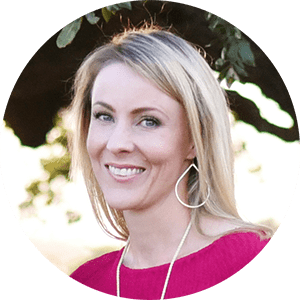 It’s a little more challenging figuring out ways to avoid turning on the oven when you crave a little sweet treat, but believe me…it can be done! 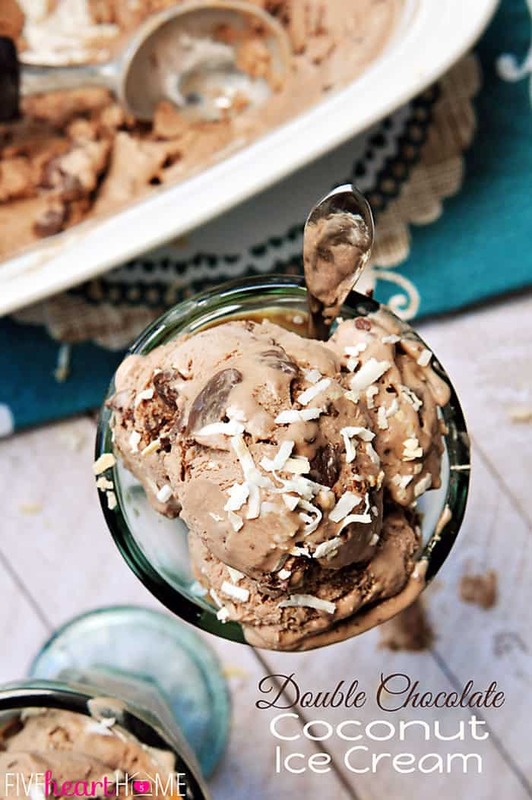 No-bake cookies are a fast, easy solution to this hot weather, summertime dilemma. 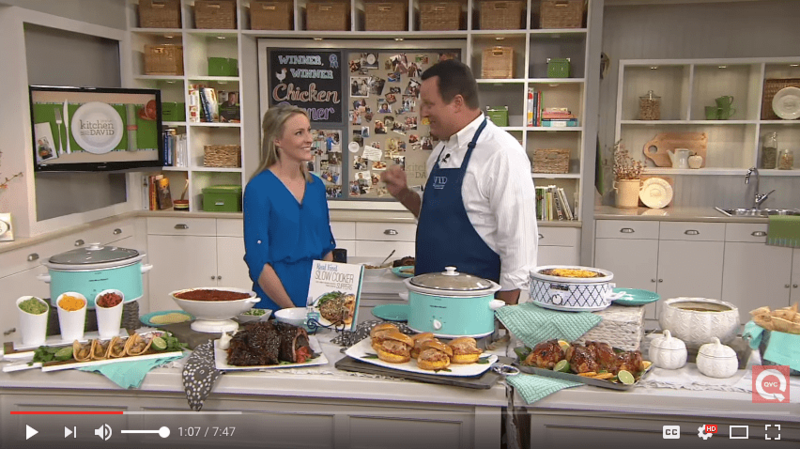 This classic concoction has been around for decades, and the recipe goes by a variety of names (Preacher Cookies, Boiled Cookies, Funeral Cookies, Cow Patties, and many more). 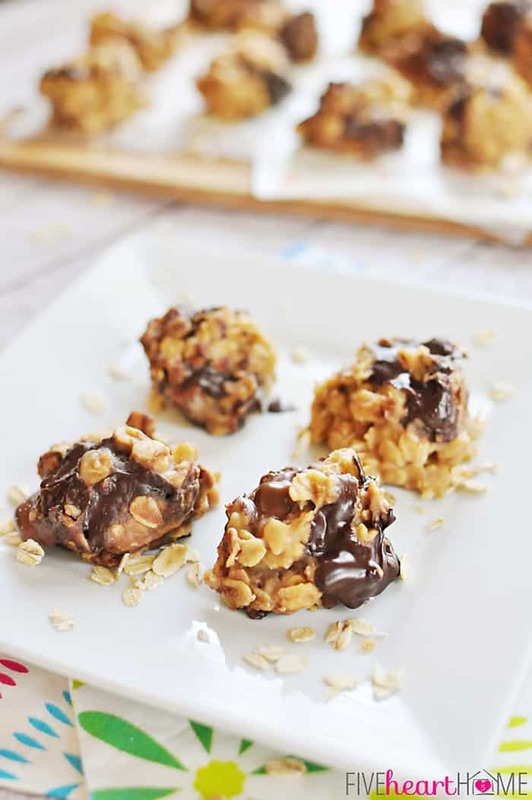 These cookies are quickly made in a pot on the stove by boiling butter, sugar, and milk for a specific amount of time and then stirring in the peanut butter, oatmeal, and remaining ingredients. Plop them on some wax paper, let them cool, and DONE! 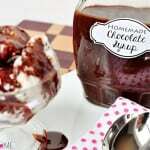 The resulting treats are chewy and very sweet, with a flavor almost reminiscent of fudge. 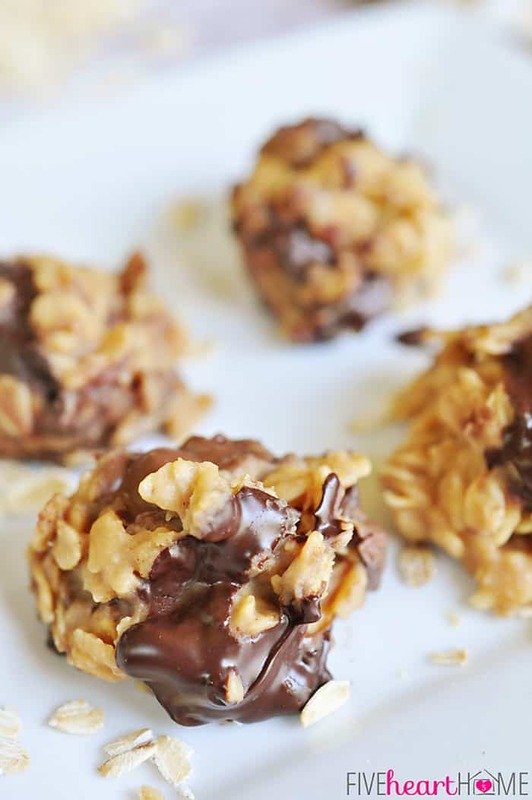 Now, there is a bit of a debate out there as to whether No-Bake Cookies should be made with quick-cooking or regular rolled oats. Honestly, I think it’s a matter of personal preference. Since the oats don’t technically cook, they are going to remain chewier than they would in baked cookies. I personally enjoy the chewier texture attained by using regular rolled oats, but some prefer the more tender cookies that result from using quick oats. So I leave it up to you! If your ideal is somewhere between tender and chewy, you can always use half quick oats and half regular oats. The traditional no-bake cookie recipe call for cocoa powder but, wild and crazy baker that I am, I decided to change things up a bit. So in lieu of cocoa powder, I took a cue from my S’mores Crispy Treats, which have chocolate chips stirred in at the last minute. For these cookies, I started with big chunks of dark and milk chocolate, some of which melted and streaked into the oatmeal mixture, and some of which cooled back into solid pieces. Because I didn’t have a bag of chocolate chunks handy, I sacrificed a leftover milk chocolate Easter bunny (whose time had clearly come) plus a handful of individually wrapped dark chocolate pieces, chopped into large hunks. The resulting cookies? 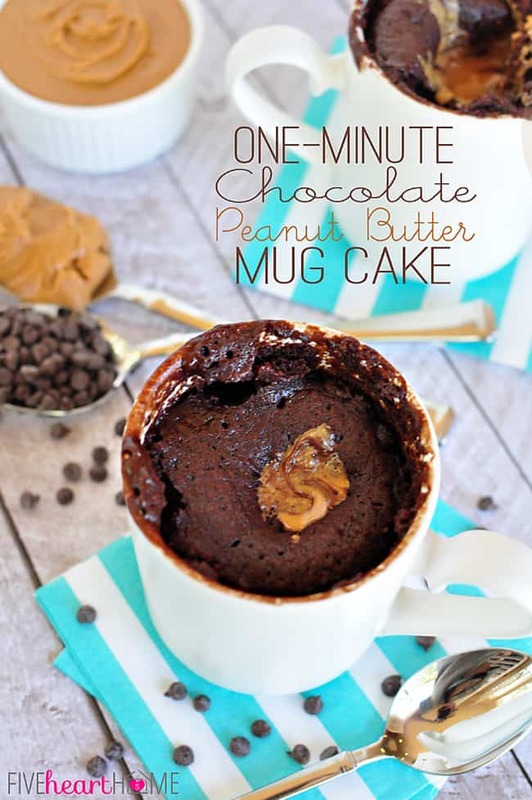 Decadent and delicious, as any combo of chocolate and peanut butter typically is! The key to this recipe is boiling for the exact amount of time specified in the recipe. Not long enough, and your cookies may not set up. Too much boiling time, and they may end up dry and crumbly. And one final note…if you need to avoid peanut butter, you can make these cookies with nut-free sunflower seed butter instead (SunButter is one available brand). Or if you’re okay with another variety of nut butter, that would work as well. 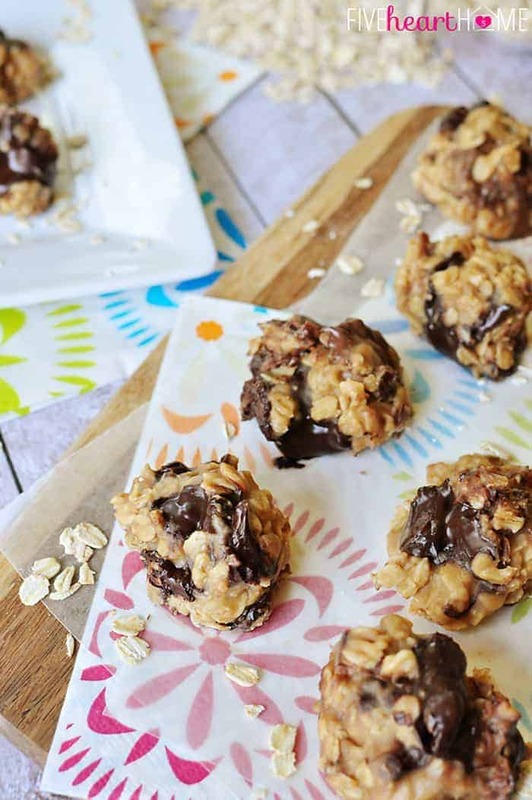 So beat the heat this summer — or make quick, easy, homemade cookies any time of year — with these No-Bake Peanut Butter Chocolate Chunk Cookies! They’re perfect for everything from back-to-school teacher gifts to a sweet something for last-minute guests. I can guarantee that they whip up in a jiffy…and they’ll disappear even faster! 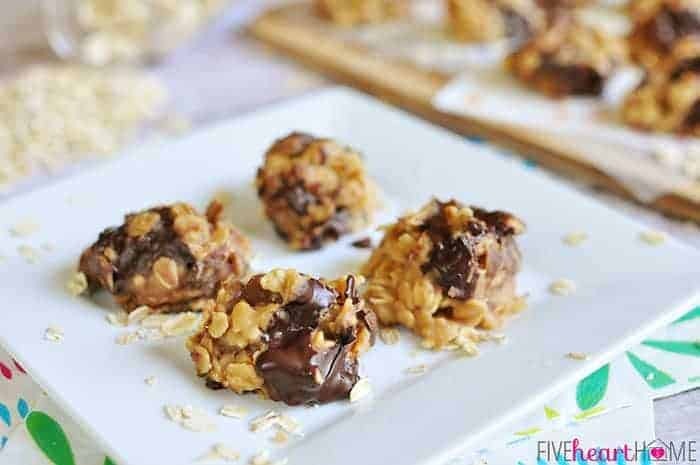 No-bake cookies -- featuring chewy oatmeal, creamy peanut butter, and chunks and swirls of chocolate -- come together in mere minutes with no need to turn on the oven! Line two cookie sheets with waxed paper. Measure out all cookie ingredients and set aside. Melt butter in a large pot set over medium-high heat. Stir in sugar and milk and bring to a rolling boil. Set timer and continue stirring as mixture boils for exactly 1 1/2 minutes. Remove pot from heat. Stir in peanut butter, vanilla, salt, and oats until mixture is well combined. Add chilled chocolate chunks and stir just a few times so that chocolate is incorporated and starts to streak, but it should not melt completely. Drop oatmeal mixture by tablespoonfuls into little mounds onto prepared cookie sheets. You may leave them rounded or use the back of a spoon to slightly flatten them. Allow cookies to set and cool. Store in an air-tight container at room temperature (for up to a few days) or in the refrigerator (if you prefer them firm and chilled). You have to work quickly when making this recipe since it sets up quickly, so I recommend measuring out all ingredients ahead of time so that they're ready when you need them. Sunflower seed butter may be used in lieu of peanut butter, for those with peanut allergies. You may use quick oats for more tender cookies, regular rolled oats for chewier cookies, or a combination of the two. If you use chocolate chips/small pieces of chocolate, or chocolate that hasn't been chilled/frozen, it may all melt when you stir it into the warm oatmeal mixture. 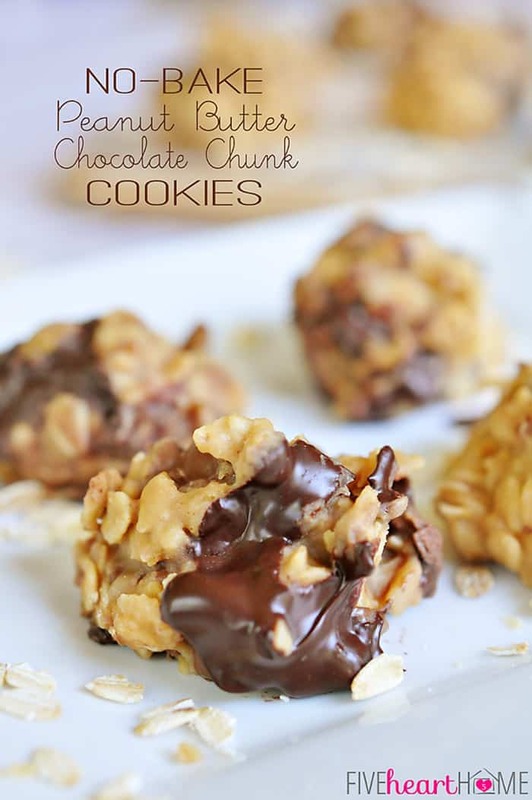 It will still taste great, but you won't have any chunks of chocolate remaining in your cooled cookies. I like to use a small cookie scoop to quickly scoop my cookies into little mounds. 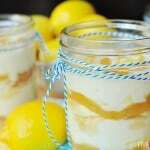 Recipe originally posted at Or So She Says on June 17, 2014. 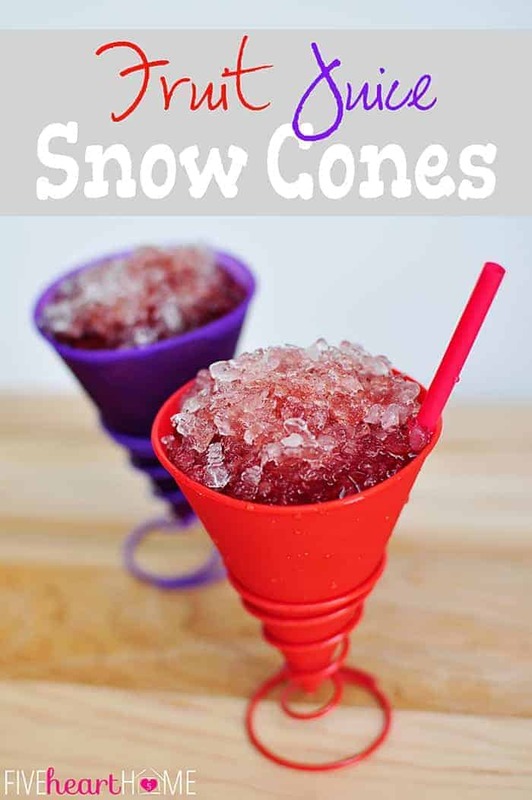 Oh I wish I could pop a few of these in my mouth right now! 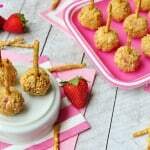 They look fantastic – and no bake – how great is that! Thanks, Jessica! That’s actually the problem I have when I make them…it’s way too easy to pop a few of them in my mouth…and then a few more…and then a few more. 😉 Hope you enjoy them just as much as we do if you have a chance to make them! You know you are speaking my love language with these chocolate and peanut butter cookies, Samantha! I’m drooling, really! Chocolate and peanut butter really is a love language, isn’t it, Julie? 😉 Hope you get to try these soon…it sounds like they’d be right up your alley. 🙂 And I hope you’re having a wonderful week! I have a family reunion to go to where I am going to bring numerous things. This would be perfect, because everyone will like them and I don’t have to do any work. I agree, Carol…the ‘no work’ part is arguably the best part of this recipe! But they do taste pretty dang good, too. 😉 Have a great time at your family reunion! Ha, Leelou…I have the same problem when I make them! I limit the number of cookies I’ll let my kids have, and then I find myself stuffing them in my mouth after they go to bed! 😉 Glad y’all enjoyed them…hope you’re having a great week! These look delicious! 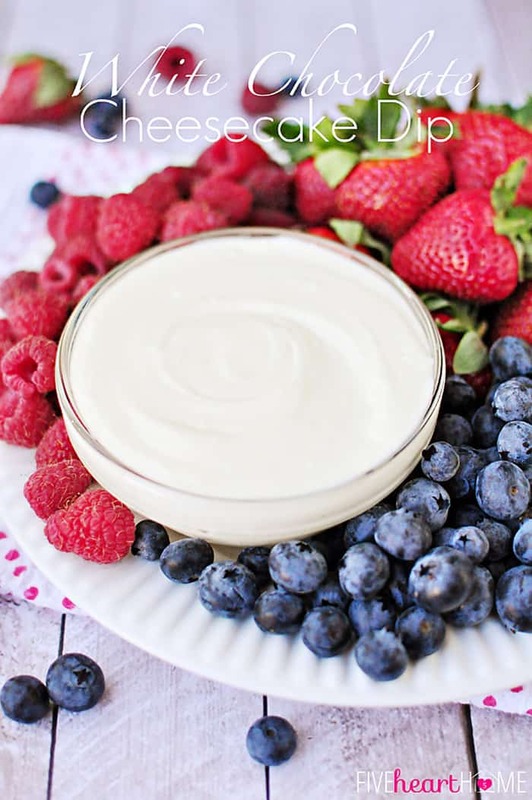 My daughter is always looking for yummy no-bake recipes she can make 🙂 Yum! Thanks so much, Shannon! These cookies are definitely fun to make with the kiddos…hope your daughter has fun with them and that the whole family enjoys them. 🙂 Have a great rest of the week!